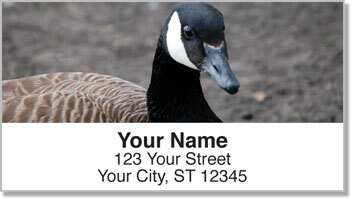 Canada geese are the most common waterfowl species in North America. Some flocks have even become non-migratory because of adequate winter food supplies and a diminishing number of natural predators. That's good news if you love the sight of these winged swimmers as much as we do! 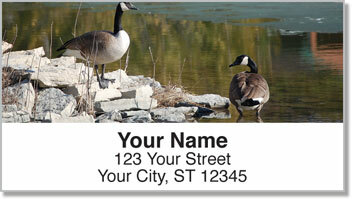 Introducing Canada Geese Address Labels and matching Canada Geese Personal Checks from CheckAdvantage. 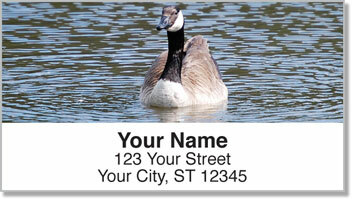 These unique labels and checks feature a rotation of four stunning photos of Canada geese swimming and wading at the water's edge. 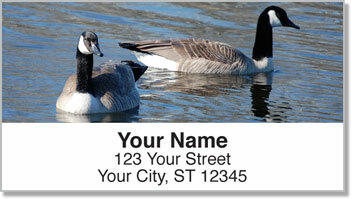 To make both personalized products part of your home office accessories collection, order now!